As always, it feels as though the Labour Day weekend has ambushed me. Somehow the summer has slipped past and I find myself staring at the date in the lower right corner of my laptop screen incredulously. The end of summer is always a bittersweet time—bitter because, as the Starks say, winter is coming; because I look at my list of things I meant to accomplish and get depressed at just how few things are checked off—but sweet because Labour Day is, for me, New Year’s Eve. I remember walking up the hill at University College at UWO on the first day of classes in the first year of my PhD, reflecting in amazement that that day marked my twenty-second straight first day of school. That was sixteen years ago … and the unbroken streak continues. I’ve always loved the first weeks of the school year, even when, from grades nine to twelve, I hated school. I was always optimistic though: something about the crispness of autumnal air, the blank potential of new notebooks and pens, and seeing people whom you had (mostly) not seen since classes ended the previous spring. It wasn’t until my final year of high school that things started to work for me, when I realized (1) what I was good at, and (2) what I loved. Then university started, and I’ve never looked back. And now I still love the first weeks of school. It occurred to me I should started including periodic round-ups on this blog. All summer long I have been reading, and as per my habit, it’s been all over the map. I’ve also been watching a lot of amazing stuff. Any one of these books or shows could have a post all to itself, but if I did that, I’d never get anything done. So here’s a brief recap of some of my summer reading and watching highlights. 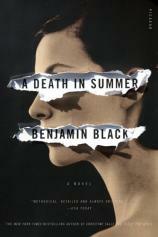 Benjamin Black, A Death in Summer. Benjamin Black is the nom de plume of novelist John Banville, an identity he takes when he wants to slum it in the world of genre fiction. A Death in Summer is his fourth mystery novel (of six) starring Quirke—a middle-aged consulting pathologist who works at the Dublin morgue. As the novels progress, Quirke keeps getting embroiled in mysteries and comes to have a wary friendship with a detective named Hackett. By this fourth novel, they have become quite the double act. Quirke is a large, shambling man who was an orphan for a time at a corrupt orphanage, until he was adopted into a well-to-do Dublin family. In the present of the novels—1950s Dublin—he is a vaguely depressive widower with a laundry-list of self-destructive tendencies centered on alcohol and women (and a tendency to get caught up in murder mysteries, which isn’t always healthy for him). The novels are at once great fun and deeply depressing. They are a wonderful antidote to the tendency to romanticize Ireland as a quasi-magical land of poets and singers—Quirke’s Dublin is a grimy, parochial city, small in every sense of the word, caught up in petty moralizing and under the thumb of an autocratic Church. And because Benjamin Black is really John Banville, they are beautifully written and resist genre fiction’s formulaic tendencies. Every time I read one, I can’t help but wish the BBC would turn them into a series of TV movies—ideally, starring Liam Neeson as Quirke and Stephen Rea as Hackett. 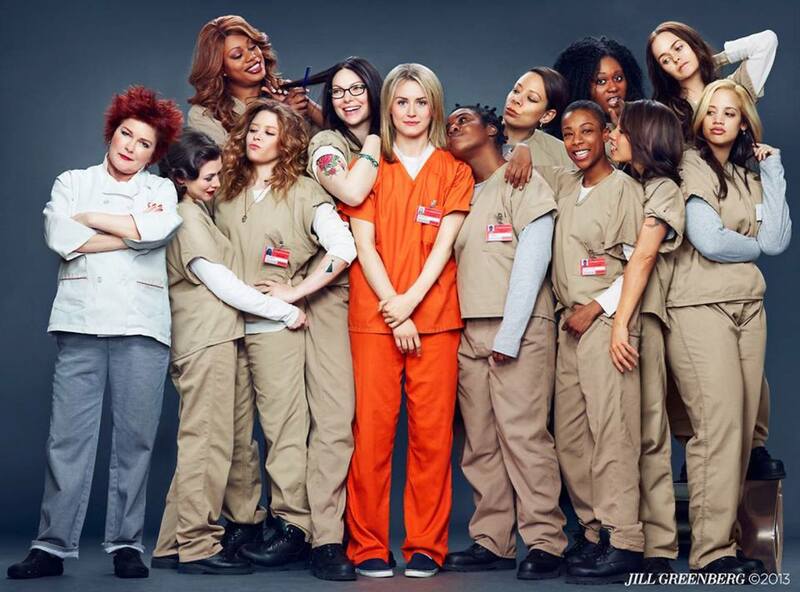 Orange is the New Black. At some stage I will post at greater length on this beautiful, compelling, and addictive show. I’m currently working on a short essay on Oz for a collection, and I think an exploration of the similarities and differences between these two prison dramas would be useful. Mostly the differences: Orange is a much gentler, more soulful show, more concerned with the individual stories of the many and varied women in the prison, and far less concerned (but by no means unconcerned) with the negotiations of power in a closed environment. 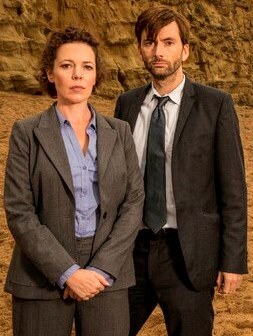 As much as I love prestige television, it bothers me that most of the shows I watch comprise something of a boys’ club. Orange represents a significant step toward redressing that imbalance. There’s still a long way to go … but the success of this amazing series is heartening. The Newsroom. Speaking of boys’ clubs … Last summer I posted on the first season of Aaron Sorkin’s newest drama, echoing the complaints and criticisms the show very much deserved. It was pedantic, preachy, sententious; the female characters were caricatures; like The West Wing, The Newsroom was liberal wish fulfillment—unlike The West Wing, it was entirely lacking in nuance. This season? 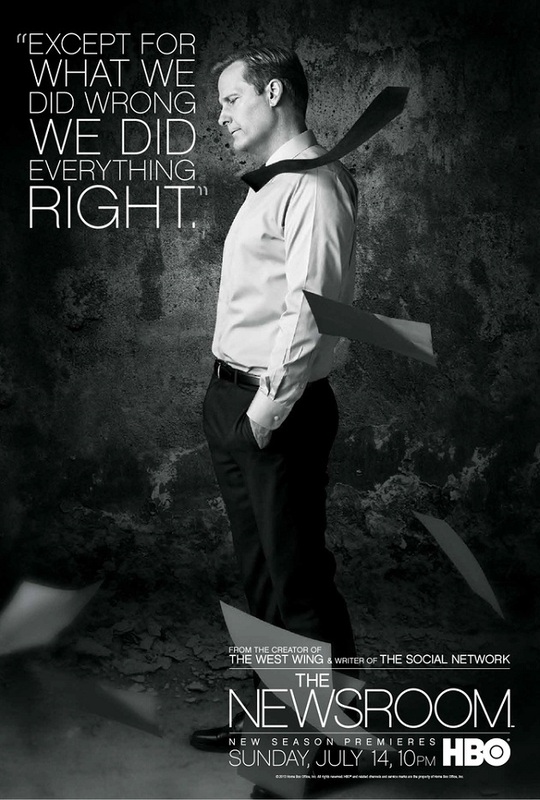 Well, it’s still far from perfect, but it’s obvious that Sorkin has heard his critics. It has (mercifully) abandoned its civilizing mission, and instead is actually giving us some tightly written drama. Some of it feels contrived, but it’s a damn sight better than what came before, and Sorkin is giving the women on the show something to do besides being foils for the men. Jonathan Franzen, Farther Away. Franzen is, in my opinion, a brilliant novelist—but whenever I read his essays, I have to wonder if perhaps that is where his true talent lies. He has wonderfully lucid prose and a very engaging conversational style. Farther Away is a collection of occasional essays, reviews, and articles, many of which have to do with Franzen’s songbird obsession: to call him an avid birdwatcher is to understate the case egregiously, and it’s a testament to his writing that a hobby I find otherwise utterly uninteresting and pointless he makes fascinating. But the true soul of this book lies in his series of essays dealing with his friendship with David Foster Wallace, and coming to grips with his suicide. David Rakoff, Fraud. I came late to the David Rakoff bandwagon—too late to properly appreciate him when he was still alive. He died a year ago, and I only really became aware of his work when I listened to a The American Life dedicated to his memory. I recognized his voice from previous episodes of This American Life, but had not been aware of him as an accomplished essayist. I read his other two collections Don’t Get Too Comfortable and Half Empty in short order after that, but resisted reading Fraud—which was his first—because I enjoyed the others so much, I wanted to save it. But I finally broke down early this summer. Rakoff’s writing is impossibly, enviably eloquent, his humour wonderfully cynical and caustic, and his observations laser-like in the way they dissect his topics. He is sort of like David Sedaris for adults. The World’s End. I haven’t seen many movies this summer, mainly because this summer has been a veritable wasteland for film. Which was why it was lovely to go see the third film of the so-called Cornetto Trilogy. The World’s End is better than Hot Fuzz and not as good as Shaun of the Dead, but it is a highly entertaining film for anyone who (1) has a fondness for British pubs and ale, (2) came of age in the late 80s and/or early 90s, and (3) likes Simon Pegg’s particular brand of genre-based parodic comedy. Well, I scored the trifecta there. 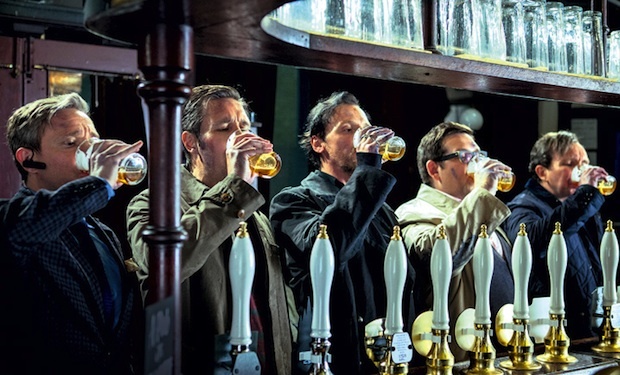 Simon Pegg’s character Gary King wheedles and cajoles his college buddies to return to their old town and recreate a failed epic pub crawl—twelve pubs culminating in “The World’s End,” the final stop they never made it to the first go-around. Except that early on they discover that the town has been taken over by robots impersonating the townsfolk in anticipation of an alien invasion. It’s basically The Stepford Wives meets Invasion of the Body Snatchers, except British and increasingly, howlingly drunk, all to an awesomely retro soundtrack (The Soupdragons, Pulp, Sisters of Mercy, Blur, The Housemartins? Yes, please). Neil Gaiman, The Ocean at the End of the Lane. The praise this slim book—really more a novella than novel—received felt excessive. This was the summer, I think, when people suddenly realized who Neil Gaiman was and were elbowing each other to get to the front of the bandwagon … while those of us who read Sandman in high school and have Good Omens in hardcover put on our thick-rimmed glasses and said “Oh, I read him before he was cool.” I did not come across a single review of this novel(la) that wasn’t slavishly complimentary. That kind of unanimity among critics is rare, and usually goes in the other direction (such as last summer’s unjustly snide and sneering reviews of The Casual Vacancy). That being said, I can’t say I disagree: I loved The Ocean at the End of the Lane. Not as much as I loved American Gods or Good Omens, but I was really impressed. 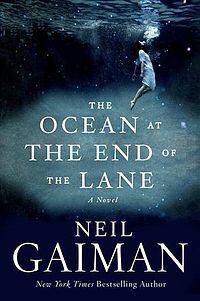 Much of Gaiman’s oeuvre is lost on me, because I don’t care for children’s literature; The Graveyard Book, The Wolves in the Walls and Coraline, among others, all of which have received critical acclaim, are not books I have or will be likely to read. That being said, watching the following blurb makes me curious about his newest children’s book, Fortunately, the Milk … Perhaps it would make a nice Christmas gift for my niece and nephew. Breaking Bad. It’s the endgame now … the first three episodes of the final stretch have successively ratcheted up the stakes and the tension. I don’t think viewers have been this obsessed about how it all ends since Lost. As I have said, I have a Breaking Bad post I’ve been working on for way too long now, so I’ll reserve further comment for it. So … there’s my roundup. 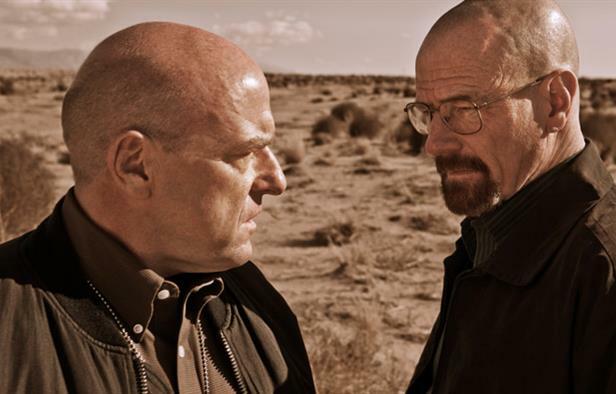 Stay tuned for upcoming posts about Breaking Bad and the law of diminishing returns in American politics, as well as updates from my classes as they happen. Happy New Year, everyone!